Carol Morley Make-up: Glamour Magazine TV hottest new stars! Glamour Magazine TV hottest new stars! 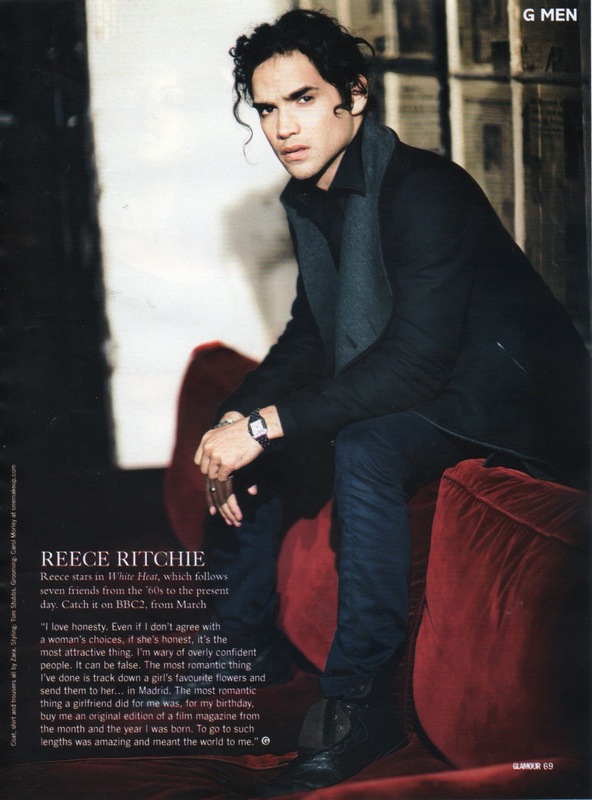 Back at the end of 2011 we did a shoot for Glamour Magazine in a huge wonderful Hackney studio with 8 of the hottest new T.V. stars . All were interviewed on their thoughts about love....who says romance is dead! Tom Riley - who plays Lawrence Shepherd in 'Monroe' later this year. 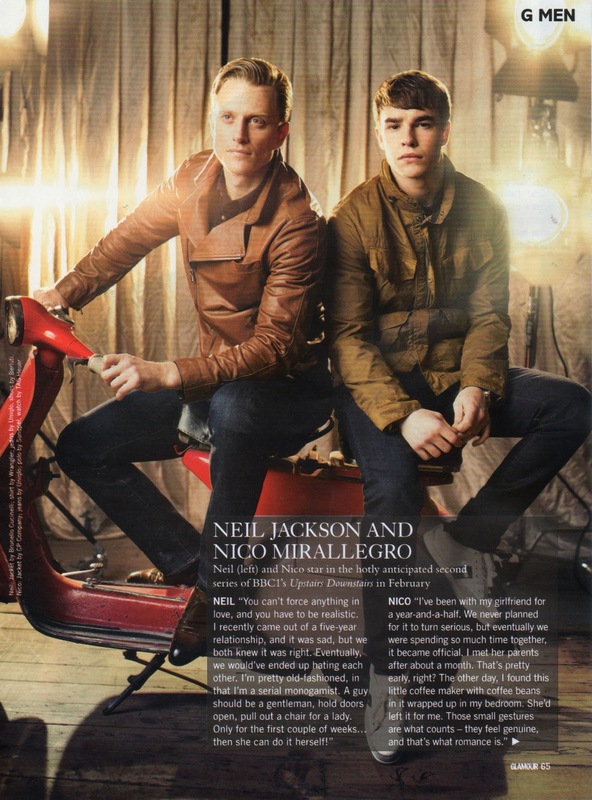 Neil Jackson and Nico Mirallegro starring in 'Upstairs Downstairs' in February. 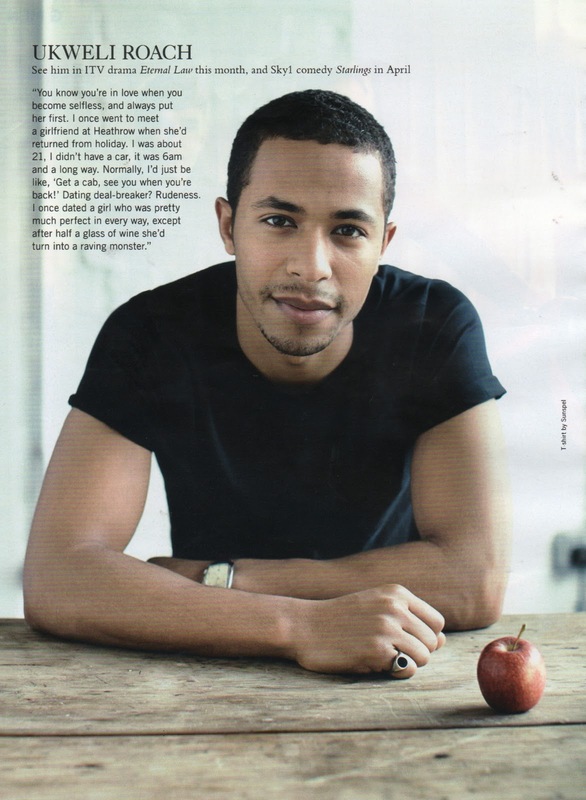 Ukweli Roach in 'Eternal Love' and Sky1 comedy 'Starlings'. Aneurin Barnard who plays David Bailey in 'We'll Take Manhatten'. 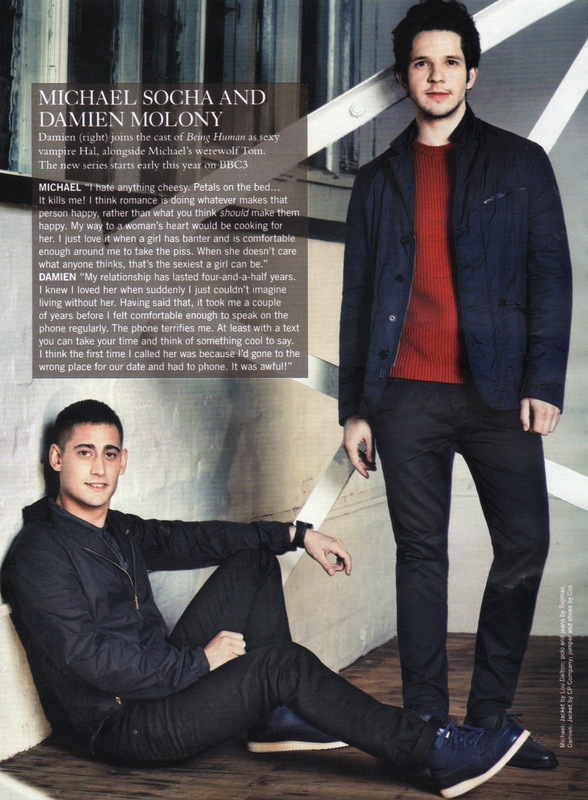 Michael Socha and Damien Molony star in 'Being Human', the new series starts shortly. Reece Ritchie stars in 'White Heat' from March. 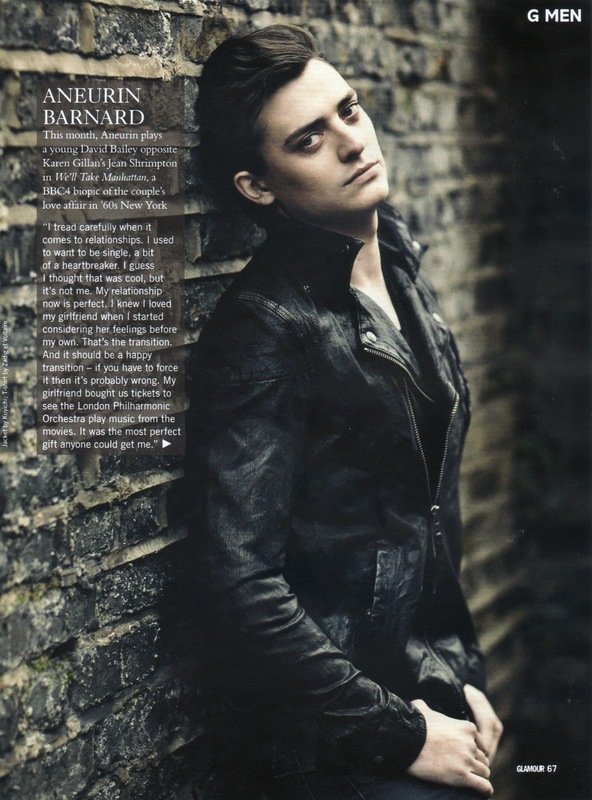 Really beautiful photo of Aneurin Barnard. Thanks a lot for sharing, can't wait to get the magazine. Hope you'll do more features on him. Moscow Nail Varnish Mavala ! images copyright Carol Morley. Simple theme. Powered by Blogger.